Childhood and teenage years are a time of rapid change and development and coping with the pressures of growing up can be tough. Young people can experience a range of mental health problems, and as part of our work to improve the public’s mental health we can help by identifying and encouraging approaches that adapt to and meet the changing needs of young people. Over half of mental health problems in adult life (excluding dementia) start by the age of 14 and seventy-five per cent by age 18. Recently, the pressures of social media, exam stress and worries about body image have all been associated with rising rates of depression and anxiety among teenagers. The Government’s Future in Mind report, published in March 2015, sets out a vision for better supporting the mental health and wellbeing of young people by improving services. We have a key role in helping to make this vision a reality, and we have an important opportunity to drive action to improve children and young people’s mental health beyond health and social care services. Working alongside young people to help prevent the onset of mental health problems and to encourage early help seeking behaviour is an essential aspect of our roles as parents, family members, carers and professionals. The Reading Well for Young People scheme was launched in April by The Reading Agency, Society of Chief Librarians (SCL) and the Association of Senior Children’s and Education Librarians (ASCEL), with funding from the Wellcome Trust and Arts Council England. 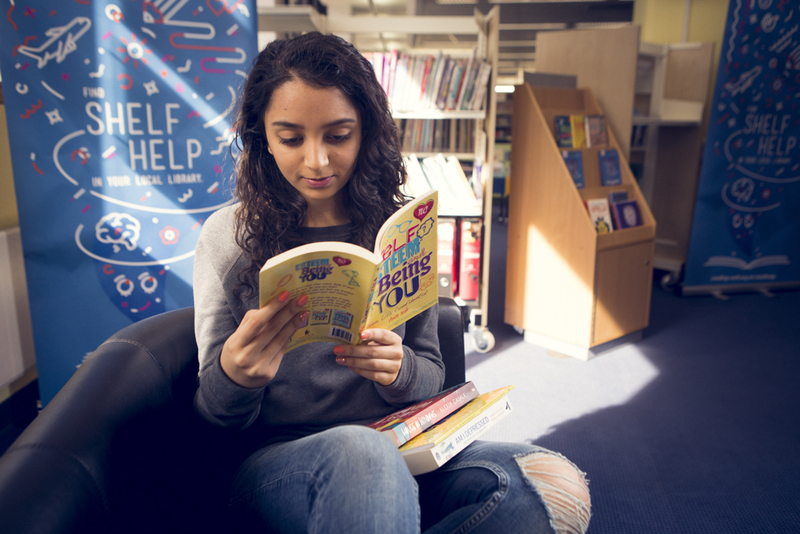 With the tagline ’Find shelf help in your local library’, the scheme has been co-produced with young people alongside leading health organisations including PHE. The proportion of 15-16 year olds reporting that they frequently feel anxious or depressed has doubled in the last 30 years. 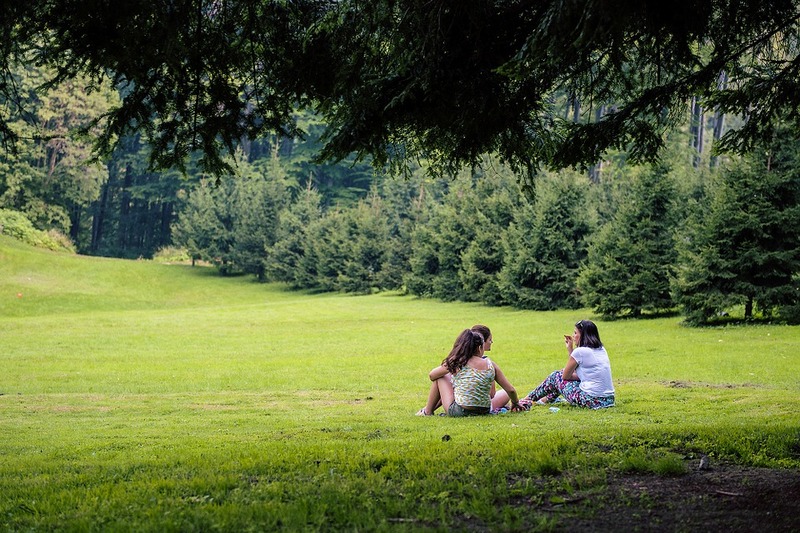 A booklist of 35 titles has been developed to provide young people aged 13 to 18 with advice, information and support around common mental health conditions, such as anxiety, depression, stress and eating disorders. The booklist is available in public libraries and features self-help, psycho-education, memoirs, graphic novels and fiction titles. It has been selected by health professionals, including the PHE Public Mental Health team, following a rigorous and evidence-based approach. The scheme continues to build on the success of the previous Reading Well Books on Prescription schemes for dementia and adult mental health, providing a cost-effective way of delivering community-based mental health help and support for young people. Health professionals such as GPs, children and young people IAPT practitioners and school nurses can use the scheme to recommend helpful reading. Leaflets containing the booklist are also available from local library services, with 91% of English public libraries signed up. So many of us have experienced the power of a book to transform our thinking, and now young people across the country can access free resources to help them make sense of their world and their experiences. MindEd at the Royal College of Psychiatrists and the University of Northumbria have published a new ‘sleep in adolescence’ resource, supported by PHE. This follows a recent report from the Royal Society for Public Health and the University of Oxford stated that poor sleep is linked to a wide range of physical, mental, behavioural and performance issues. It warned that four in ten people aren’t getting enough sleep, while one in five sleep poorly most nights, and called for sleep to become a key priority for the public’s health. Sleep issues for adolescents are similar to those for adults, but with some distinct differences. The new resource is a national first, providing tailored advice for people who work with, live with or otherwise support young people. This session outlines what sleep is and why it is particularly beneficial for young people. The online session covers the sleep process and how sleep is affected by the external environment, as well as how sleep health can be assessed and maximised for good health and wellbeing. The focus on is on preventing problems and increasing the early help available to young people from those that are close to them. Just as our One You campaign aims to raise the awareness of the links between physical and mental health and wellbeing for adults, we have been exploring ways to do this for young people. Our Rise Above campaign interacts with young people to involve them in the development of new content on themes such as exam stress, peer pressure and sleep. We are also promoting Makewaves’ digital badges that enable young people to safely share their stories with their peers and the wider world. They also allow educators to support learners and encourage skill development and digital citizenship. Childhood and adolescence can be a challenging time, but we can all play our part in making sure that younger generations have the opportunity to enter adulthood with good mental health. This information is timely for young parents to assist the teenage in crossing to adulthood with minimum mental challenges. thanks for the post. Thank you for this article and for raising some really important points. Making it easier and less scary for young people to access health services should also be a priority. Providing high quality health information in an engaging way and in a format that appeals to young people is also important.